During class one day, my friends and I were obsessed with this brand new album from… Bone Thugs N Harmony. 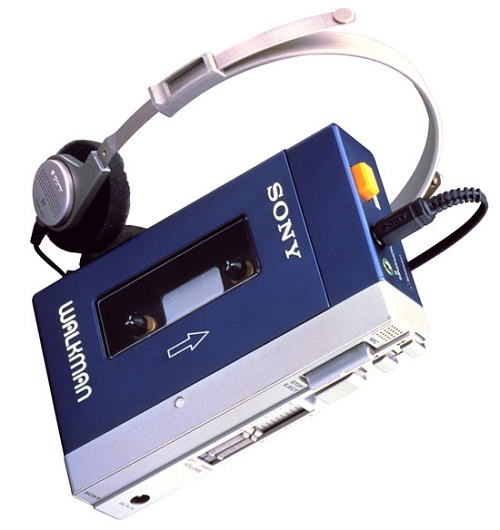 Behind the bookshelf in the back of the classroom, my friends and I would take turns listening to Tha Crossroads and other songs on my buddy’s walkman (tape player). We were quite the rebels because the songs had (gasp!) curse words in them. Finally catching on that we were probably up to no good, the teacher started to walk towards the bookshelf. Being the opposite of a trouble-maker in reality, I darted away along with everyone else leaving one guy stranded with the “explicit” tape. Now, what does this mean for your wealth? The 3rd step on the way to true wealth is what? To create the right environment. The environment consists of the information that you read, see and listen to, the people you hang out with and where you take advice from. In essence, your environment creates who you are. Music, among other things, can be a major part of that. Whether it be mood, energy, peace, confidence or any other emotion, music can help (or hurt) you. One area that I needed help in was with confidence. Starting with the thrill of breaking the rules in the back of the classroom, I got something profound out of hip-hop music. It was an energy and sense of fearlessness and invincibility, and even today, I listen to the right songs to encourage the same emotions. Getting ready to workout? Hip-hop. Getting ready for a big sales call worth $15,000? Hip-hop. A night out? Hip-hop. The confidence and energy is contagious. The strategy for anything that you want to do is to find those that are doing it best and follow them. Listen to them, and learn from them… Eventually you become them in some way, shape or form. Some people may see this as a bad thing, but use it intentionally to create the life you want. If you want to make money, listen to those that are making an insane amount of money (Richard Branson, Warren Buffett, Jay-Z). If you want to build confidence in yourself, listen to those people in the world that are the most confident in themselves (Donald Trump, Kanye West). I’m not saying you have to act like Kanye West (please don’t), but what I’m saying is the information that you put in your head matters. You can control your environment, and this in turn will change who you are. The information slowly alters your internal programming one chapter/lyric/comment/message at a time. You may not feel it, but I can guarantee you that it does. As I started getting closer and closer to becoming the CEO of my own life, I started to listen to more hip-hop and I also started to become more confident. Coincidence? I’d argue that it’s not. It’s definitely my opinion that hip-hop music (or any songs you get energy, motivation, inspiration from) can make you rich when used wisely. Here are the top 10 hip hop quotes that can help make you filthy rich. The ultimate goal is freedom in all senses of the word. This is my goal with everything single podcast, blog post, video or course: to teach you the mindset and money/investing practices to do so that you can find complete freedom in your life. Once you do this, you are truly wealthy! The first time I realized this, I was ~24 years old. Why on earth did it take me so long to realize what I really wanted? The school system and society in general doesn’t teach you this, and that was one of my biggest motivations behind Make Money, Live Wealthy. Money doesn’t buy happiness… but neither does poverty. People that say the first half of that quote often don’t have money, acting as if being poor is the saintly thing to do. I disagree. Money and the emotions it causes, when misused and misunderstood can be the cause of a lot of evil… but I’ve been poor and I’ve been rich, and I can tell you that the latter is much, much better. Money isn’t the solution, but it does make true wealth much more possible and much easier to obtain. Realize this and you’re on your way. When I think of making money, I think of one word: hustle. There is no such thing as an easy get-rich-quick-scheme. There is no overnight success. There are those that hustle and put one foot in front of the next, and then all of a sudden, wa-la! – money, success, fame, or whatever it is they’re going for. If you want a crazy amount of money, it requires a certain amount of hustle. It requires time. Plus, it requires determination. No matter who you are or where you’ve been, you can become massively wealthy. I could fill out the entire top 10 with Jay-Z quotes. He is a brilliant man, artist and businessman (or should I say business, man!?). His memoir, Decoded, is one of my top 5 favorite autobiography/memoirs of all time. The man overcame so much by (surprise, surprise!) taking action, building the right mentality and you got it: hustle. From dealing drugs on the corner to timeless icon, Jay-Z worked his way up out of a bad situation to show that you can make it to the top no matter where you start. Wow, three lines of gold from one of the greatest of all-time. This one needs no further explanation. As Nicole Lapin and I talked about on the YoPro Wealth podcast, the way you get to your ultimate success is to 1) get enough confidence so that you can completely be yourself and then 2) from there just work, work, and work some more. If you do what everyone else does, you’ll get what everyone else has. You have to forge your own path and only then will you be as happy and as rich as you can possibly be. One of the major secrets to success I’ve learned is to have success. What this means is one door opens 5 more doors… Those 5 doors open up 20 more doors… Those doors… you get the point. The biggest problem is this: very few open up that first door. Very few say “yes” to the opportunities in front of them. P.O.O.R. stands for Passes On Opportunities Regularly. Change your mentality and you’ll see the opportunities in front of you, and then take a chance. What’s the worst that could happen? Putting your fate in the hands of someone else (i.e. another company). Once you can understand, evaluate and ultimately make the correct decisions based on risk, you will very soon be rich… but not before then! I wrote a guest post for my buddy Matt McWilliams about what you should do before you become rich: first become a better you. Why? Because nothing really changes. Money just amplifies who you are and either what you’re great at, or where you’re weak. Everybody says they want to become rich, but actions speak louder than words. The more you stand out among your peers, the easier it can get. There’s less competition. Again, have success and that will breed success. Just focus on that first milestone and keep that momentum going strong! Take your dreams, your ideas, and put to bed all of the excuses. Realize the fight is between you and yourself. If it takes hip-hop music to conquer that little voice in your head, then damn it, listen to Biggie on repeat. If it takes something else, then do that, as well. The point is that success, when broken down in any way shape or form, comes back to the same principles. Change your environment and you change your mindset. Change your mindset and you change your life. You don’t like something? Change it. You don’t like someone? Leave them. It’s your life… And the thing is: nobody is going to change it for you. You’re the CEO. The only question is, what will you do?